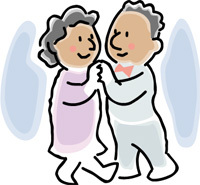 Enjoy an evening out of music and dancing for the May 50+ Dance from 7:00 – 10:00 PM at the Ross DeJohn Community Center, Mayfield Heights. Tickets can be purchased at the door for $5 per person. Singles welcome. Bob Lubeck and the Sidemen will entertain you.